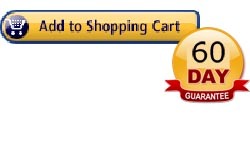 Do all your web promotions get the results you're really after? Are they as profitable as you'd like them to be? Even if your web marketing pieces are doing alright - wouldn't you like to increase your results substantially, even by as much as 9 times? One of Bob Serling's clients did just that. Using what I'm about to show you, he increased his profits by 917%. Many others increased their profits by 300% or more, as well. How have Bob's clients managed to produce such remarkable results time and time again? And how can you start enjoying similar results with your web marketing? More powerful concepts and copy! It's really that easy. Look, I don't care how great your product or service is, how attractive the design of your web site may be, what opt-in lists you're using, how high you place in the search engines, or how unique any other component of your web marketing might be. I'm sure you know from experience that this is absolutely true. Haven't you had days when the traffic to your site broke all previous records - but sales didn't budge at all? Or haven't you created copy to revamp your home page or copy for a new promotion on your site you were sure would sell like crazy - only to have it fail dismally? Bob has heard this story many times before - because over 90% of his clients tell him they've been through this. They also tell him they wish they were much better at writing web copy. Or they knew more about how to effectively judge and improve the copy they get from the copywriting people they hire. If you'd like to put an end to the dismal results you've been getting... if you'd like to be able to write the kind of copy that makes products disappear off the shelves and sells services like crazy... if you'd like to super-charge the performance of every web marketing piece you create, I've got good news for you. Bob has just created a powerful new program that will show you, step-by-step, everything you need to know to craft the tightest, most compelling copy imaginable. Copy that sells and sells - then sells some more! It's called Power Copywriting For The Internet - A Step-By-Step Guide To Writing Million-Dollar Advertising Copy. One thing you should know. This program is unlike anything you've ever seen. You see, after following the rules all the so-called web marketing experts promote for creating copy - and suffering from extremely poor sales as a result - Bob decided to do things completely differently. He decided to turn things upside down, inside out, mercilessly kill what didn't work, keep only those few things that proved they produce actual sales... and "marry" all of this to what he had learned as a highly paid direct response copywriting genius. Once Bob came up with his web copy "power formula," he put it to the test the only place it really counts - in the market place. To be perfectly frank, not all of it worked. But most of it proved exceptionally successful. So Bob went back to the drawing board, tweaked things here, fine-tuned things there, and continued to test and refine his "power formula" until it performed like crazy. Then he tested some more. All this testing paid off handsomely. Because what Bob ended up with was a web copy "power formula" that's been exceptionally more profitable than anything else he ever tried. For example, perhaps you saw his recent web promotion for a teleconference call on web marketing. That promotion was created in just a few hours using the template for his "power formula". How well did it do? It brought in a whopping 7% response. And I mean 7% of all people who received the promotion signed up for the conference call at $197 per person. Compare that to the meager 0.5% response that's the industry standard for web marketing, even for products that sell for far less than what the teleconference call sold for. That's a 1400% increase in sales! Bob worked 18 months and invested hundreds of thousands of dollars to test and perfect this powerful approach. Now, for the first time, he's taken the entire formula and broken it down step-by-step into a simple recipe anyone can follow to produce record-breaking sales. It's all there in Bob's new program, Power Copywriting For The Internet. Now, I could tell you about all the great results I know you'll get by using this program. But instead, I'm going to let Bob's own clients show you in hard dollars and cents just how well his copy techniques work. Here's How Profitable The Copywriting "Power Formula"
If you'd like to start getting similar results, Power Copywriting For The Internet is for you. Whether you're completely new to writing web copy or a seasoned pro, these techniques will have a powerful impact on your sales and profits. The biggest complaint many new web marketers have is that all the books they read on copywriting tell them "what" to do but don't show them how to do it. Power Copywriting For The Internet is different. But it doesn't just stop there. You see, after Bob carefully explains each step of his power formula, he kicks the whole process up another notch. The next section of the program is in a workshop format. This gives you a comprehensive demonstration of the entire formula in action. While designing this program, Bob started thinking about a very elusive problem so many of his clients told him they were troubled by. They told him they could recognize a good - or even great - ad or marketing piece when they saw one. But they didn't know what made it great. They told Bob it would help them make more money if an exper writer of copy would dissect a proven web marketing piece, block by block, to show precisely what he was thinking when he wrote every component. So Bob agreed to do just that. He took one of his most successful promotions and broke it down block by block to show you every last detail of how it was created. As he proceeds through each block of the promotion, he fully explains every strategy and technique and answers every question you could imagine to get to the heart of how to create highly profitable web copy. Bob puts every detail under the microscope - so you can see precisely how to use every tip, trick, and technique in the power formula to its full advantage. 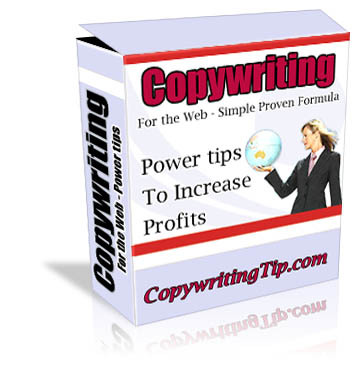 Profit from the 31-Step Internet Copywriting Power Formula. Web copy requires its own unique approach in order to be as successful as possible. Customers have become more sophisticated and much more skeptical when it comes to advertising, especially on the Net. So it's essential that you get things right the first time, or else you'll lose the chance of making a sale forever. This doesn't have to happen to you. By understanding and applying these 31 simple yet ingenious steps, you'll be able to create powerful Internet marketing copy that brings in more traffic, closes more sales, and substantially increases your profits. You'll have a distinct advantage you can use to capture a larger share of your market - and leave your competitors in the dust! Discover the real differences between online copy and offline copy. There are a lot of myths and rumors about what works online and what doesn't. Bob clears them all up for you in short order. Immediately kick your sales copy up another notch by understanding the one crucial component for producing riveting copy that nearly writes itself. You'll be shocked when you discover this component. I'll tell you this: It's by far the most important thing you can do to improve the selling power of your Internet copy. Yet it's almost never used by even the most seasoned writer of good copy. "Power Pre-Requisites" - what you must have in place before you ever write a word of copy. Getting your prospects to respond is nearly a done deal when you have these components in place. But without them, you expose your marketing to far more risk than necessary. Don't put your sales at risk. Plug these components in and watch your sales rocket up the charts. How to create headlines that compel almost any reasonable prospect to stop and read your marketing piece. Headlines are one of the most important components of any marketing piece. Years of testing have proven that a single headline change can increase your results by as much as 400%. The inside secret of Pre-emptive Strike Credibility. More sales are lost within the first page or two of copy than you could possibly imagine. This is truly a shame, since it doesn't have to happen. Find out how to use Pre-emptive Strike Credibility to turn this situation around entirely, get prospects to treat you like a trusted advisor, and increase your sales in record time. Gain another crucial advantage by understanding "Power Words" and "Deadly Words." Some words are absolutely golden. Others can instantly flush all your time, effort, and money down the drain. You'll improve your sales when you know which words add maximum selling power to your copy - and which words to avoid like the plague. Discover how to avoid crucial copywriting errors that doom your promotions to be shot directly to the recycled file or trash bin. These days, one thing is certain. The marketplace is unforgiving. If your copy slows your prospects down, confuses them, doesn't hammer home the benefits as powerfully as possible, or makes them work too hard - you're doomed. Increase the selling power of all your copy by creating maximum response offers. I'll let you in on a major secret. In today's market, your offer makes or breaks your success. Crafting a powerful, highly profitable offer is easy when you understand how. You'll get comprehensive details on how to do just that and start enjoying greater sales volume right away. Harness the immense selling power of the only two things people really buy. The simple fact is, people really only buy two things - solutions to their worst problems, or ways to achieve their most important goals. Get complete, step-by-step details on how to imbed these powerful motivators into all your copy, resulting in even greater levels of sales. How to use Bob's proprietary "piggyback" offer technique to add 30% or more profit to every sale you make. This is so simple, you can have it up and running in less than half an hour. Yet it will produce additional profits for you day-in and day-out for years to come. Bump your sales up another notch with the "inverted piggyback" offer technique. This takes the prior technique one step further with often incredible results. You'll see how Bob has used it time and time again to increase profits as much as 70% - all for about 5 minutes of additional work. How to use "Power Packaging" to increase your sales by 50% or more. Over the past 16 years, Bob has invested hundreds of thousands of dollars to determine which factors truly have a substantial impact on sales. One of the most effective and inexpensive to implement techniques he developed is "Power Packaging." In this course, he shows you how easy it is to blend this powerful strategy into your copy and gain impressive sales increases overnight. How an ingeniously simple technique called "shifting the risk" can double or triple your sales immediately. One of the greatest barriers to making the sale is your prospect's natural skepticism. They've been lied to, cheated, and burned by unscrupulous businesses more times than they care to remember. Bob shows you how to overcome this serious problem by "shifting the risk" completely off the customer and onto you - plus how to eliminate almost all real risk at the same time, and double or even triple your sales. And there's much more - including all of Bob's insider techniques for writing powerful sentences and paragraphs... how to identify your most compelling benefits... how to make optimum use of visuals and graphics... how to check copy to make sure it will sell before you ever invest a cent in it... proven testing methods for squeezing every last dime of profit out of your copy... and even more than I have room to go into here. Bob reveals every last strategy and technique he's used to sell literally millions of dollars worth of products and services on the Internet. No holds barred. Let me put it this way. Regardless of whether you're a complete beginner who has never written a single word of copy or a seasoned pro who writes copy for a living, this intensive training will turn you into a master of maximum sales, maximum profit Internet copy. With that in mind, let's take a look at all of the components of the program. This comprehensive, 149-page book is the foundation of the entire program. Everything I've just described above is covered in complete detail. Most marketing material tells you what to do and very little else. That's not the case here. Not only are you told what to do, the reasoning behind every step you take is thoroughly explained. And, most important of all, you are given complete step-by-step details showing you precisely how to carry out each step. At the same time, Bob has kept it as lean and tight as possible. He doesn't waste a minute of your valuable time with useless fluff or filler. In addition, the annotated workshop takes you through the actual creation of a highly profitable web marketing piece, giving you a paint-by-numbers model you can use to create your own successful promotions. That in itself is quite a lot. But it's just the beginning. You see, this is simply the most comprehensive package you could ever ask for. Nothing has been left for you to wonder about. In addition to Bob's own advice on high-profit copywriting, he's interviewed five of the sharpest, most successful marketers on the Internet to bring you even more powerful advice you can take to the bank. What the future holds for Internet marketing. Declan is a leading authority on substantially increasing your sales with affiliate programs. And he's also one of the most effective Internet marketers and writers of copy you'll ever meet. A widely sought-after speaker and consultant to companies like PriceLine, CNET, and Travelocity, as well as hundreds of small to medium-sized businesses, Declan brings a wealth of practical, proven techniques to this interview. Corey Rudl brings in over 1.8 million visitors to his web sites every month - which produce annual sales of over $6.6 million. So you can bet he knows Internet copywriting and marketing just about as well as anyone on the Net. Corey shines in this interview, revealing dozens of inexpensive and unconventional ways to dramatically increase your success on the Net. Marlon Sanders has written some of the most successful web marketing promotions on the Net. His client list reads like a "Who's Who" of e-commerce. Plus, Marlon has his own successful site that brings in thousands of dollars in sales daily - and requires only about an hour of Marlon's time each day. You won't want to miss the powerful information Marlon shares in this stellar interview. Joe Vitale was one of the first writers of copy to pioneer successful writing techniques specifically for the Internet. He's the author of some of the best books available on marketing including "Cyberwriting" which you can get from Amazon.com. In this no-holds-barred interview, Joe reveals a load of secrets for making your Internet copy and marketing produce results beyond your greatest expectations. Yes Please! 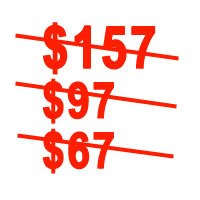 I am taking you up on your incredible offer today at the steeply discounted price of $47 which saves me over 70% from the normal retail price. Getting started couldn't be easier. The cost of this powerful business-building program is normally $157. You can have it for a limited time at the discounted price of $47. That includes Bob's complete "power formula," the annotated workshop session, and all 5 bonuses. Even though the price is extremely reasonable, here's what's really important. If this program was just another set of "tell you what to do" techniques without showing you precisely how to do it... another light-weight program that just leaves you broke and frustrated, it wouldn't matter what the price is. It wouldn't be worth it. But if you can know with complete certainty that every web marketing piece you write will successfully achieve your goal, whether it's getting a steady new stream of new customers... doubling or tripling your revenues... cashing in with lucrative backend sales... or whatever your specific marketing goal may be... and having the skill to do this year after year for as long as you're in business, what is that actually worth to you? I can't put an exact dollar figure on it for you - only you can do that. But I can tell you this: at $47, this program could very possibly be the best bargain and the best investment you'll ever make. To get on track to making all of your Internet marketing as profitable as possible, you can order now online using Clickbanks secure order system. Buy now - I dont know how much longer I can offer it at this amazingly low price. Yes I want it Now! I am taking you up on your incredible offer today at the bargain discounted price of $47 which saves me over 70% from the normal retail price. Now, in case you have any lingering doubts whatsoever, I want to make it foolproof for you. You've already heard what his clients have to say about how much they've profited. So here's what I'd like you to do. Use Bob's copywriting "power formula" for yourself for a full 60 days with no risk whatsoever. The risk is completely mine. You can "test drive" the power formula as many times as you like. Since the entire formula is easy to apply and costs very little to put into action, it will be a breeze to get in dozens of no-cost or low-cost tests. You already know what a difference truly powerful sales copy can make. Weak, ineffective copy produces weak, ineffective results. Worse yet, it can absolutely flatten your sales and profits. Powerful, compelling copy has the ability to deliver exceptional profits. And I'm sure that's the kind of result you're really after. From the moment you start using Power Copywriting For The Internet, you'll eliminate having to worry about the quality of your copy. This program will give you the skills to create powerful, highly profitable copy time and time again. And if you use outside writers, you'll have the ability to know right from the get go whether or not your writer has delivered a high-profit winner. Don't wait. Take a minute and place your order right now. Power Copywriting For The Internet will give you the crucial skills you need to substantially increase your sales starting today. And year after year for as long as you're in business. PLUS there's more - in addition to the five audio bonuses there will be more secret bonuses added available to anyone who purchases. P.S. Remember, the risk is entirely on me. By acting right now, you get the complete program, all 5 powerful bonuses, plus any other additional bonus I may add for download after purchase. How to write effective online and offline sales letters - the perfect complement to Power Copywriting for the Web. Plus, it's incredibly easy to put into action. All it takes to convert your weak, ineffective marketing pieces into major winners is applying a few of these simple techniques. Why cheat yourself out of all the profit you're entitled to? To get on a fast track to greater sales and profits, place your order right now.